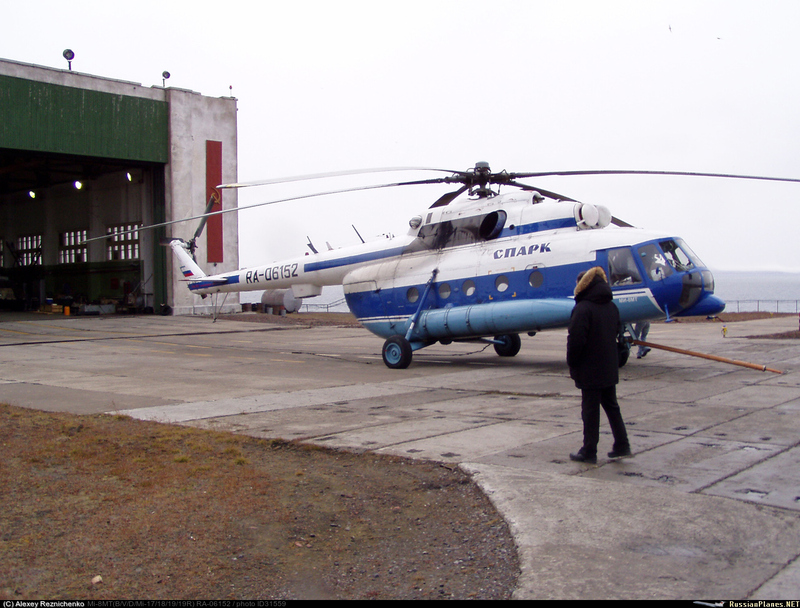 The Mi-8 was operated by the helicopter company Spark+ for the coal mining company Trust Arcticugol. The helicopter departed Svalbard Longyearbyen Airport (ENSB) at 1543 hrs (local) on a passenger carrying flight to the Kapp Heer Heliport at Barentsburg. On board was a crew of 3 and 6 passengers. The flight was conducted in accordance with visual flight rules (VFR) outside controlled airspace in visual meteorological conditions (VMC). Weather conditions at the Kapp Heer area was variable northerly wind, - 14 °C and snow showers. According to the first officer, the flight was uneventful until the final part of the landing at approximately 1600 hrs. The helicopter approached from the east and was in low hover at the intended position for landing when it by witnesses was seen to climb and move horizontally towards southwest. Witnesses on the ground could not see the helicopter due to drifting snow when it hit a nearby hangar approximately 80 meters from the landing area. The helicopter hit close to the corner high up on the 12 meter tall hangar with the nose/left side first and flipped over the edge of the roof. It then fell backwards and impacted the ground tail first and came to rest on the ground on the left side of the cabin. an unsuitable method, which resulted in the loss of necessary visual references. The balked landing was carried out with clear deficiencies in the crew cooperation. The crew lost control of the helicopter and hit a hangar wall. The collision had serious consequences, partly due to persons not being buckled up with seatbelts.